Think the Pineapple pattern looks too complicated for you? 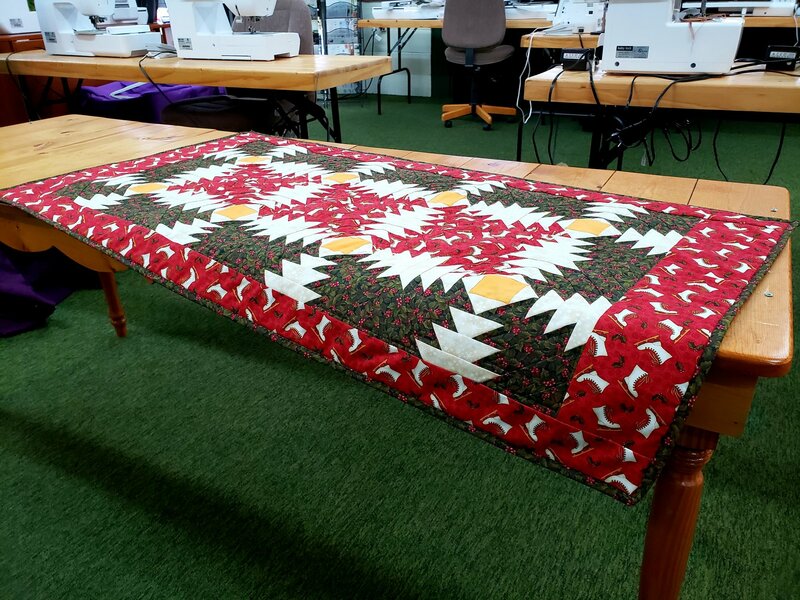 Well, come learn how the Creative Grid Pineapple Ruler will help make this Table Runner a breeze! All it takes is the ruler and some scraps and we'll teach you the rest!